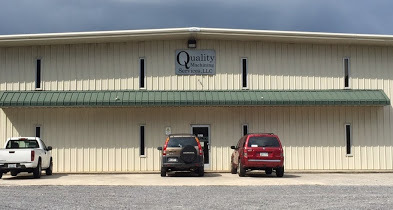 Quality Machining Services opened the doors to their 2,500 square foot shop in 1998. Since then QMS has expanded to over 40,000 square feet and offer CNC, Water Jet and Wire EDM services. In 2002 QMS with the addition of Quality Engineering and Automation we began offering engineering and electrical design. We offer Quality services and parts to our customers throughout the United States, Canada, South America, Puerto Rico and Australia. QMS is an OEM (Original Equipment Manufacturer) supplier, which has produced product handling and packaging systems for bakeries, confections manufacturing, meat processing and distribution centers. Our products include but are not limited to vacuum corrugators, molds, water baths, coilers, UHSP (Ultra High Speed Perforator) for the HDPE (High Density Polyethylene) pipe industry. We supply MRO (Maintenance, Operations & Repair) parts to a variety of companies. No job is too big or too small.